To this point, the majority of dealers that have videos on their website actually have a series of still photos of their vehicles in a kind of slide show. It is really the first use of “video” on most dealership websites. As time goes on, however, dealers are beginning to explore more sophisticated uses of video. The promise of video is the ability for a dealership to communicate in a form that allows salespeople to truly show their vehicles. If a picture is worth a thousand words, a video is worth a million. The big questions are how your dealership will start to use video and how your vendors will begin to offer video tools for you to use. Here are some examples of how some vendors are offering video to dealers. According to Ralph Ebersole, dealer consultant at Cars.com, “Video is working more with used cars than with new,” so far. He suggests that dealers “send a video linked to a reply email if you haven’t heard anything for three or four days.” Cars.com has found that car shoppers who visit a Cars.com site and click on videos tend to spend more time on the site—31 minutes on average rather than just 16 minutes for those who don’t watch videos. Ebersole makes the point that if you are producing vehicle videos for your dealership website, take the next step and also post those videos on places like YouTube. This will result in better search engine optimization for your site. While larger companies are offering video solutions, smaller companies are also using more video. “YouTube and Facebook are the sites my dealers are most interested in. In addition, they want their website to be updated to match their ad campaign. Therefore, as soon we produce a new TV ad, it goes first to the TV stations and then to YouTube, Facebook and then the website,” says DeFalco. Another company providing great video content is AutoMotionTV.com. This company offers a cool video player that can be added to any dealer’s website that has a “video walk around” of every new car model at your dealership. If a car shopper is interested in a particular model, they simply click on the little picture of that vehicle and the player streams a video with voice over and video footage of the car. AutoMotionTV’s Ben Anderson says, “We have the top 30+ manufacturers vehicles in our library.” The player is a great add-on to your site and the cost to your dealership is just $295 per month, per manufacturer rooftop. The service comes with the cool user interface player, lead generation, analytics and reporting and, social-media tie in. According to DealerHD’s VP of sales, Justin Hill, DealerHD has a number of video products for their dealers. “Our new car video product has a one minute profile video on every vehicle that the dealer has on their website. Unlike most competitor products, our new car videos include full motion and driving footage. Rather than simply pan and zoom on still images, we showcase the car in action. This has proven to be more interesting and effective for potential car buyers.” Hill says. 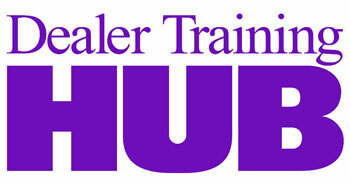 DealerHD also has video products for the used department, “We have a great used car video product as well. We’ll take the photos of the vehicle and create a montage to music, with an included voiceover talking about the highlights of the vehicle. We also distribute this video to YouTube and other online sites,” continues Hill. DealerHD also offers a YouTube plug-in. There are many different ways to use video online, but the important thing is to start using it. If you wait until consumers expect it to start using video, you’ll already be behind. Is Your Mobile Website Costing You Business?